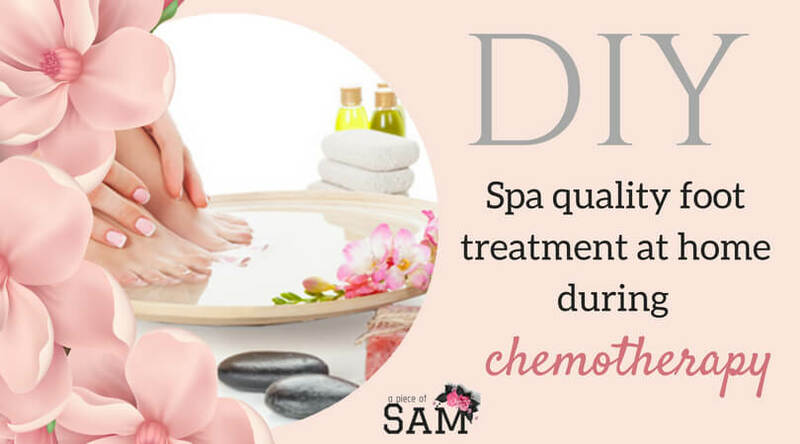 My feet and nails were grossly affected by chemotherapy. I lost a couple of nails and my feet was at the roughest it had ever been in my life. Because it was chemically induced, simply moisturizing my feet didn’t help me much. I had to seek solutions by giving myself a spa quality foot treatment, right in the comfort of my home. Gross right? I followed the tips mentioned below to achieve smooth and soft feet, deserving of a chic😉. This was happening at a time that my self-esteem had hit the rocks. I felt it was extremely embarrassing going to the nail salon for a pedicure because I assumed I would get weird looks like I just dropped out of a jungle. At this point in my life, I had not found the strength to share my story and I wasn’t about to explain to a manicurist why I had a “hoof”😂😂. After intensive research, I successfully managed my feet at home with the following awesome tips, and you could try these tips to simply pamper yourself. This post contains affiliate links. This means I might earn a commission if you make a purchase using one of my links at no extra cost to you. I love these products and hope you do too! Epsom salt and water: Add 1/2 cup of Epsom salt to half a basin of lukewarm water. Epsom salt is made of magnesium and sulfate, which works as a natural exfoliate and anti-inflammatory agent. It has a dozen uses and feet soak is one of them. Fill a basin halfway with water, or as much as can cover your feet, add Epsom salt and stir, put your feet in the mixture and relax, while it does its job! Lemon juice and water: Lemon has a lot of beneficial purposes which includes but not limited to the following: it refreshes, brightens, exfoliates and eliminates odors. what is most important is that it is absolutely cheaper than most exfoliates. You can buy already extracted lemon juice or do the extraction yourself. Baking soda and water: Baking soda doesn’t just work in the refrigerator to eliminate odors, it can also work as a foot soak item. Add three tablespoons of baking soda to water and stir to mix. Baking soda helps in exfoliating the rough skin. Vinegar and water: Vinegar is a staple in most kitchens. Its uses go beyond cooking or marinades. Vinegar is very rich with antifungal properties, which makes it great for a foot soak. Add one cup of white distilled vinegar to water, to soak your feet. Pumice stone: After soaking your feet for about fifteen minutes, it is expected to be soft. Wet the pumice stone before using it on the rough edges of your feet. If your feet are soft enough, the dead skin will begin to fall off. Use the pumice stone in a circular motion to focus on your heels, around the toes and anywhere else you have dead skin. Do not apply too much pressure and discontinue once all the dead skin falls off. Listerine foot scrub: Mix Epsom salt and Listerine( yep you heard right! same Listerine, the mouthwash) for a foot scrub. Epsom salt exfoliates while Listerine kills germs, leaving the feet with a clean crisp scent. It is extremely important to moisturize your feet immediately after soaking your feet. It helps lock in the moisture and leaves your feet feeling soft and fresh. as I used it and it was very effective. Aquafor should be applied generously to the heels to help lock in moisture and keep the feet soft and fresh. It is recommended to wear cotton socks, especially at night after moisturizing your feet. This warm sock helps in locking in the moisturizer and prevents dirt from sticking to the moisturizer applied. I am pretty much old school when it comes to online shopping. Most times, I would rather go to the store and try on or physically check out the products that I intend to buy. It was a depressing point in my life and I would not even consider going to the drug store to buy any product I needed to use on my feet. A dear friend of mine recommended Amazon to me and that was one of the best things to ever happened to me. You can buy literally EVERYTHING from Amazon ranging from groceries (Amazon Fresh) to electronics, clothes and personal effects (Amazon.com). I bought all my foot soak, scrub, and moisturizer from AMAZON. The aforementioned was how I was able to combat rough foot challenges. It is important to note that my foot didn’t get better immediately. Consistency is what worked for me. I soaked and scrubbed my feet three to four times weekly. Do you have any suggestions you would like to share? Any input or personal experiences? Kindly share them in the comment section.